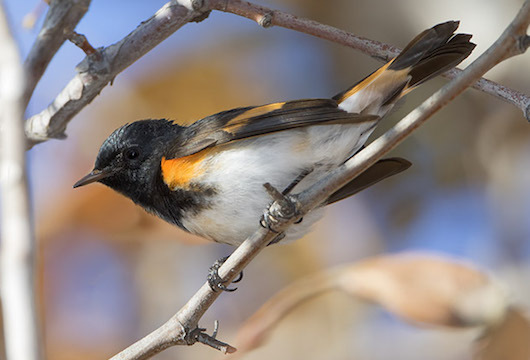 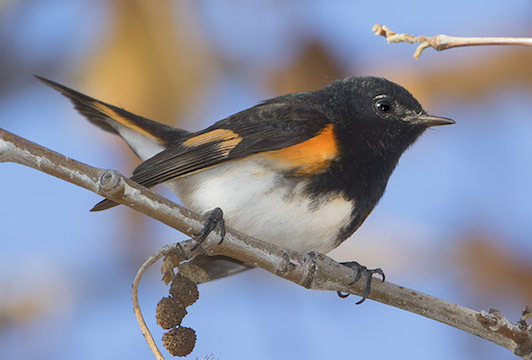 American redstarts are very active eastern warblers, but they occasionally pass through California on migration. 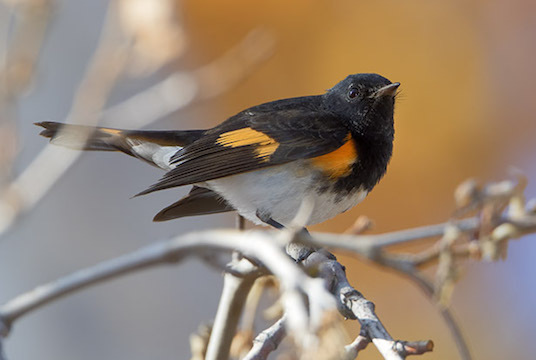 This male (females lack much of the bright coloring) was photographed at a state park near Moreno Valley, California, in December. 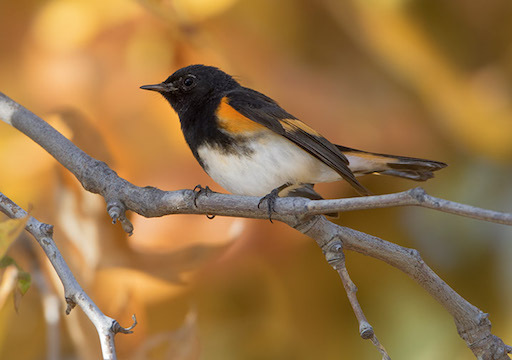 The bird was in a sycamore tree with autumn colors. 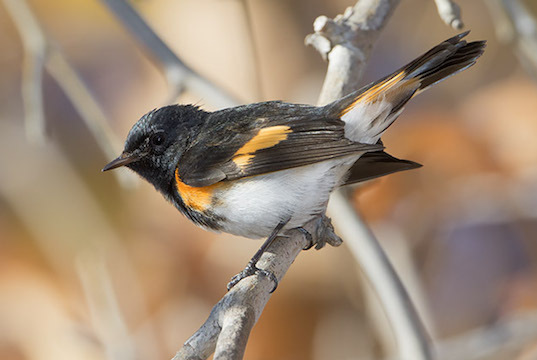 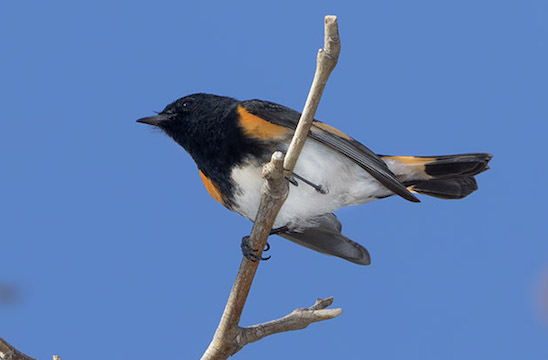 American redstarts are behaviorally similar to the painted redstart of southern Arizona and Mexico, and the slate-throated redstart from the Neotropics.